Kerala PSC Calendar December 2017 | Kerala Public Service Commission examination program for the month of December 2017: Kerala Public Service Commission has issued PSC CALENDAR DECEMBER 2017 for various examinations beginning in December 2017.Candidates can check Kerala Public Service Commission Time Table from this page, And You can also download the Kerala PSC Exam Calendar of DEC 2017 from the below give a link.Contenders are advised to start their preparations conferring to the exam dates for which you desire to apply.This will also help the candidates to gear up their preparation accordingly. Here are the details of all the examinations that are going to be held in the month of MAY for this year.Kerala Public Service Commission conducts several recruitment exams time to time for various posts under various departments. You should aware of all the DATE AND SYLLABUS of Kerala Public Service Commission examination program for the month of December 2017 Details like Application process, Examination details, the document required for attending the for examination etc which are given below, The latest Kerala PSC Calendar DECEMBER 2017 pdf ink attached with this article. 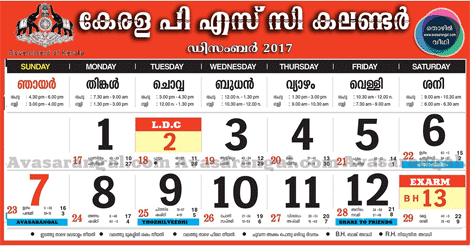 Kerala PSC Exam Calendar will be performed on the screen.Save it and you may also take a print out for future use. Candidates can download the Admission Tickets through their One Time Registration Profile on the website. In addition to the Admission Tickets, candidates have to produce the original of any one of the following documents to prove their identity at the time of examination viz. Voters Identity Card, Passport, PAN Card, Driving Licence, Pass Book with photo issued by Nationalized Banks, Photo Identity Card issued by Government Departments, Photo Identity Card issued by Social Welfare Department, Govt. of Kerala to Physically Handicapped persons, Photo affixed Identity Card issued to the Ex-servicemen by the Zilla Sainik Welfare Officer / Discharge Certificate, Conductor License issued by Motor Vehicles Department, Photo affixed pass book issued by Scheduled Banks/Kerala State Co-operative Bank/ District Co-operative Banks, Photo affixed Identity Card issued by Public Sector Undertakings (various companies/ corporations/ boards/authority)/Govt. 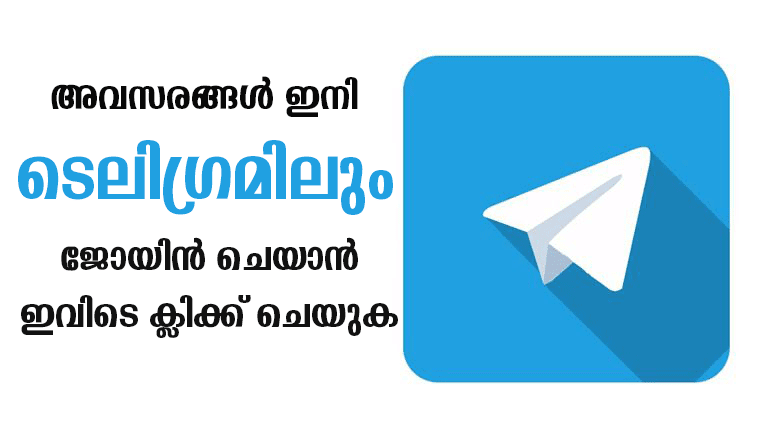 autonomous institutions to their employees, Photo affixed Identity Card issued by various Universities of Kerala to their employees, Photo affixed Medical Certificate issued by Medical Board to P.H. candidates, Photo affixed Identity Card issued by Bar Council to those who are enrolled as Advocates, AADHAAR card issued by the Central Government, One Time Verification Certificate issued by Kerala Public Service Commission.